These Miniatures are often made on location in wild places. They are set lightly on a base of stone or wood found at the site so that you can easily handle and turn them as I did when I made them. Each one is a page from my journal with influences from the mountain-side, the elements, the news, music, whatever is upper-most in my mind. Made of fine, highly durable clays they will last for centuries. They are within 15 cm long. 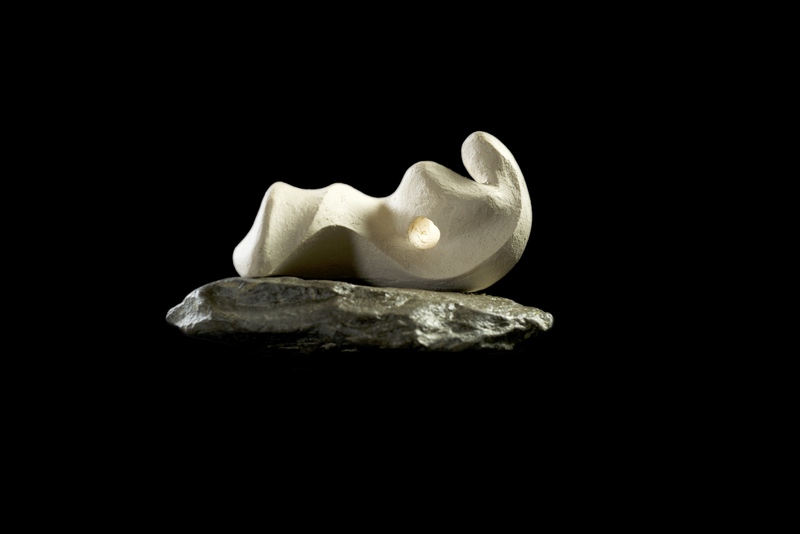 White Breve I, 11cm H plus stone base. 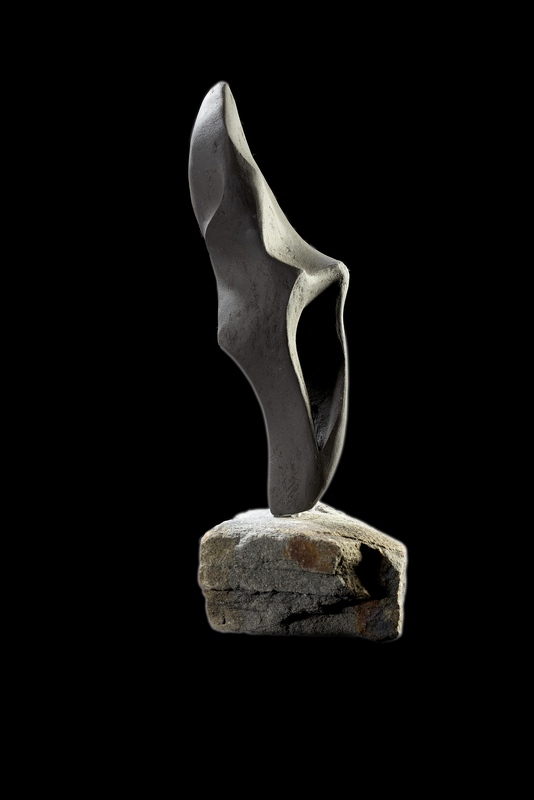 Black Breve I, 17cm H plus base stone. 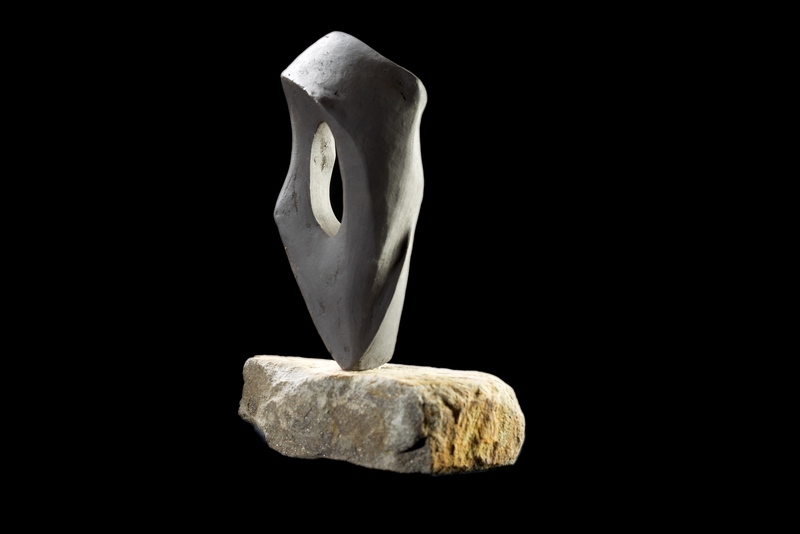 Black Breve I, 17cm H + stone base. 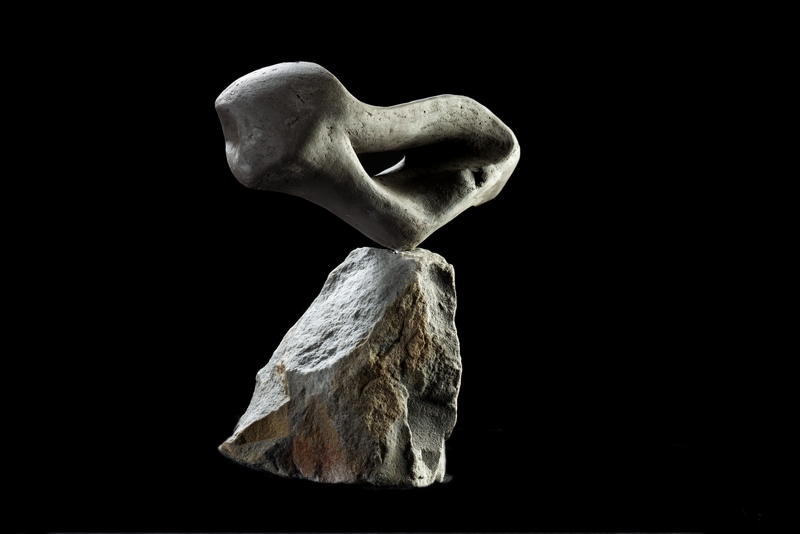 Black Breve III, 13cm H + stone base. 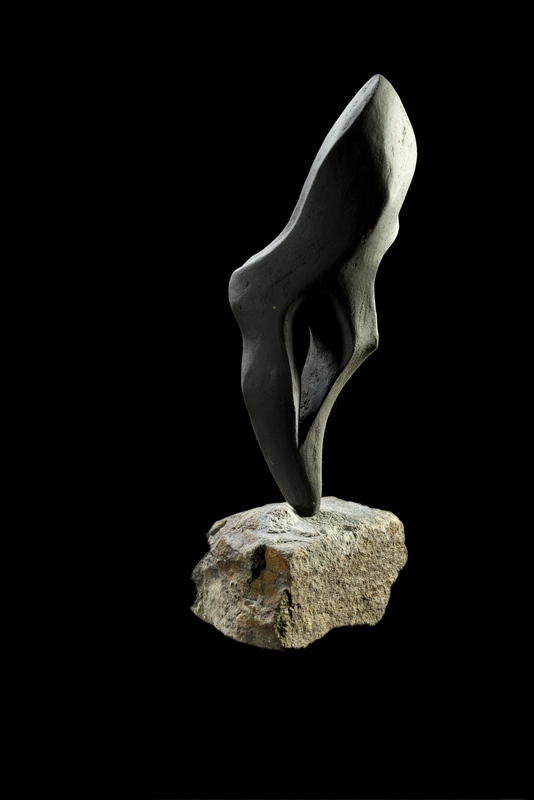 Black Breve II, 11cm L + stone base. 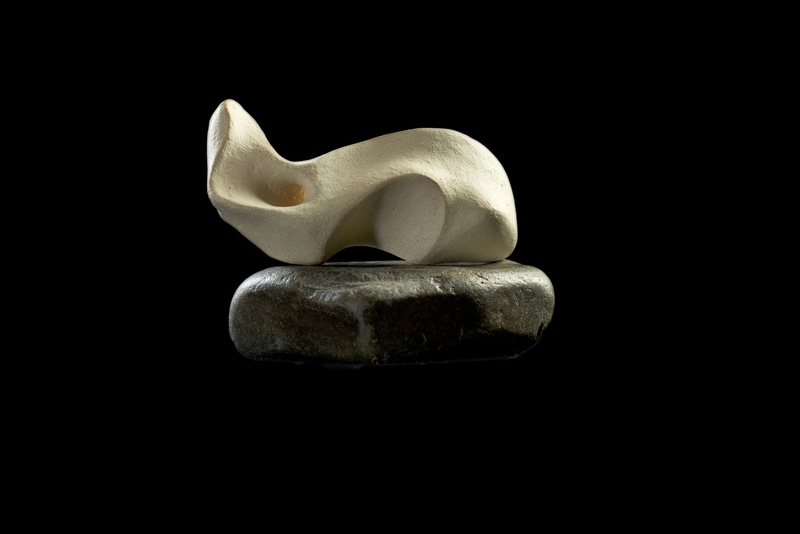 White Breve III, 12cm L + stone base. 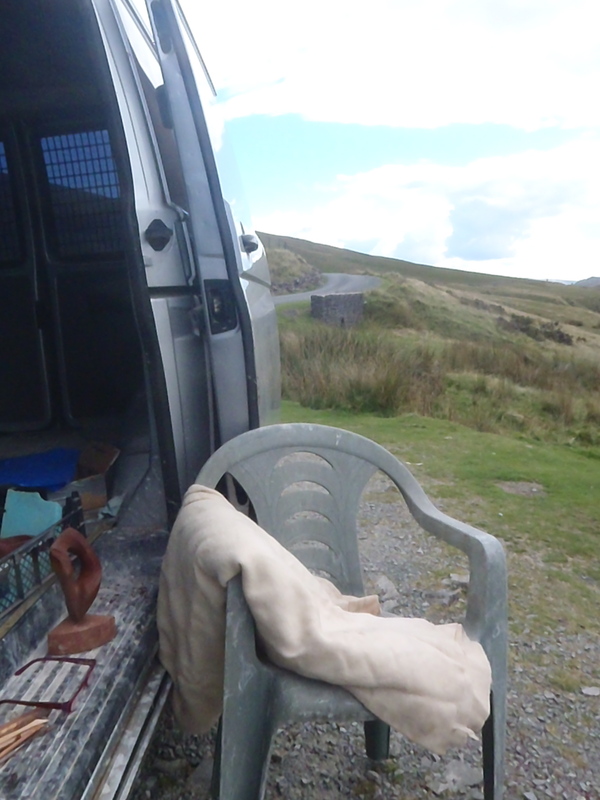 The Mobile Studio in one of my favourite, very quiet spots on the old road to Trecastle. The sound of the river fills the air. There are Buzzards, a Red Kite, Ravens, standing stones and the tough, small, mountain ponies that run on these hills. The sky is huge here and ever-changing; storms blow in in minutes. 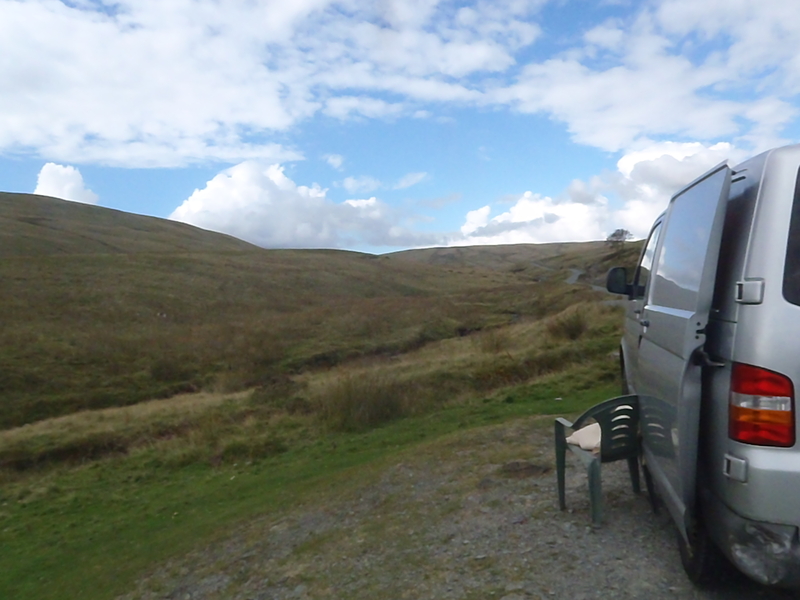 I can carry on working inside the van. 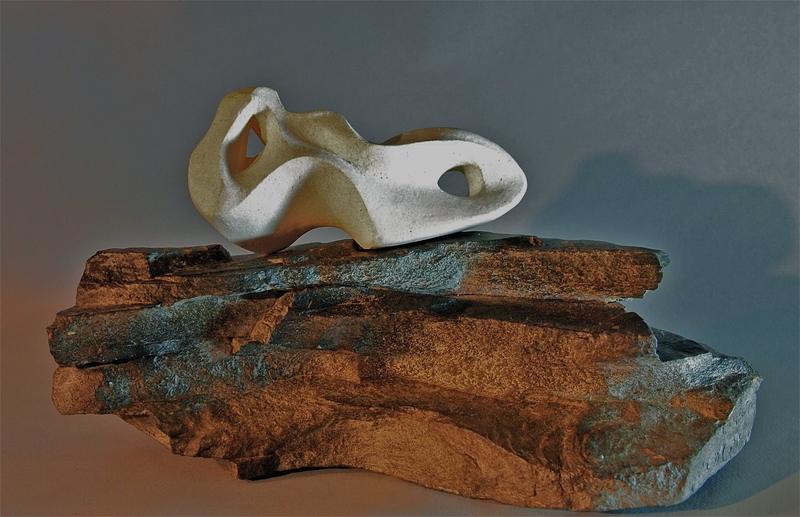 This entry was posted in Sculpture, The Series Explained and tagged Abstract Sculpture, brecon beacons, Ceramic sculpture, environmental theme, frost proof, Landscapes, Miniatures, Sculpture, Wales Art. Bookmark the permalink.